Overwatch – Blizzard’s first FPS game is celebrating this year 2nd anniversary. On this occasion, developers decided to announce the new event and informed players that Overwatch hits 40 million players global. 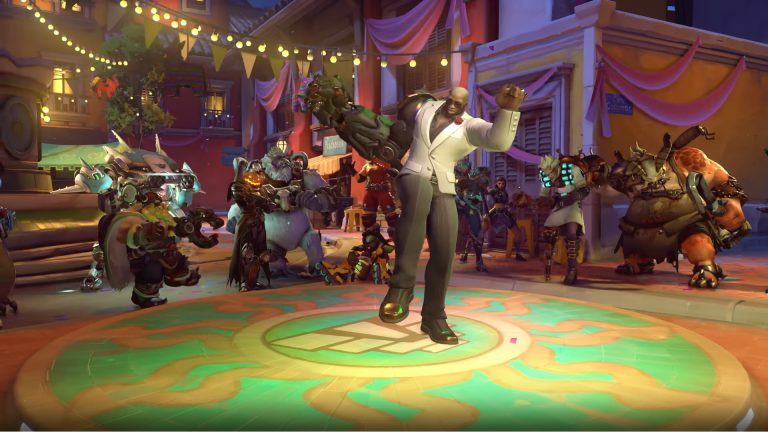 Overwatch Anniversary event is back. Along with the announcement on official Overwatch Youtube channel, new Developer Update appeared, in which game director Jeff Kaplan reveals what we can expect on May 22nd, when the event will hit live servers. The Overwatch Anniversary event will start on May 22nd and will last until June 11th. Along with the new seasonal event, the game will include new features such as a new Deathmatch map – Petra and new Deathmatch FFA competitive mode. Skins from the previous year will be also available, as well as other legendary and epic skins from all other seasonal events in Overwatch. In the latest Developer Update, Jeff Kaplan also revealed that Overwatch hits 40 million players worldwide. This is not impressive as sales results of GTA 5 or Minecraft but it shows that Overwatch is steadily growing and gaining new players. For all players who have not yet had the opportunity to play Overwatch, there’s a chance. On May 25-28th will start Overwatch free weekend. During this weekend you will get chance to get all the new items available in the game, including old legendary seasonal event skins. Extras will stay with you if you decide to purchase Overwatch that is now at a much lower price.